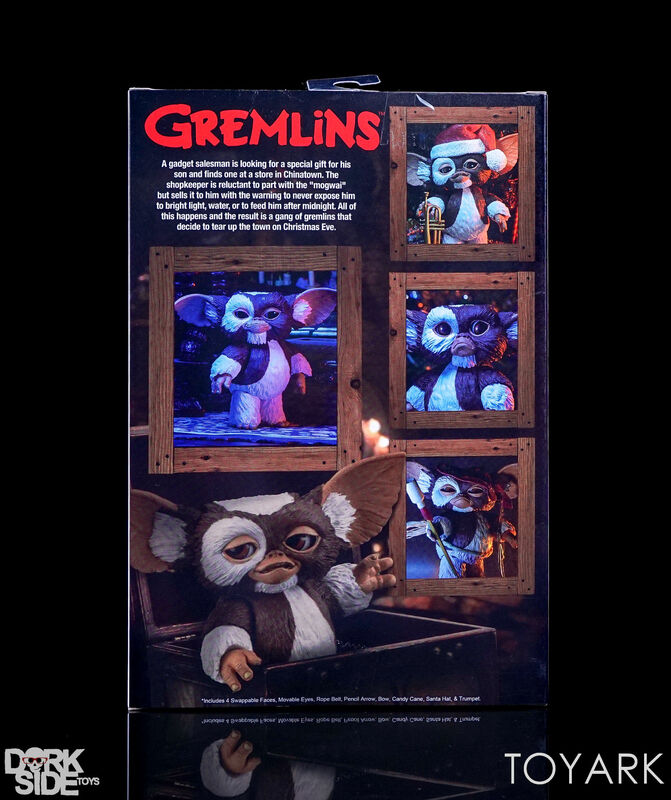 Packaged in the always great Ultimate flapped window box packaging, the Gizmo figures box jumps right out at you. 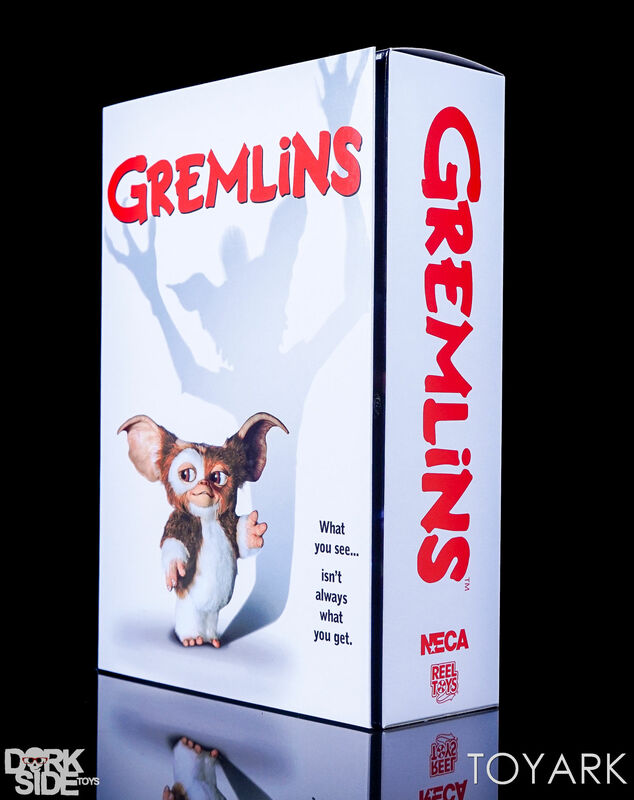 It features one of the iconic posters as the artwork on the front, with photos of the figure on the back and interior of the flap. 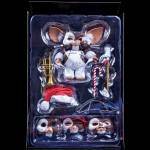 Gizmo and his accessories sit in a plastic tray, free of any twist ties. 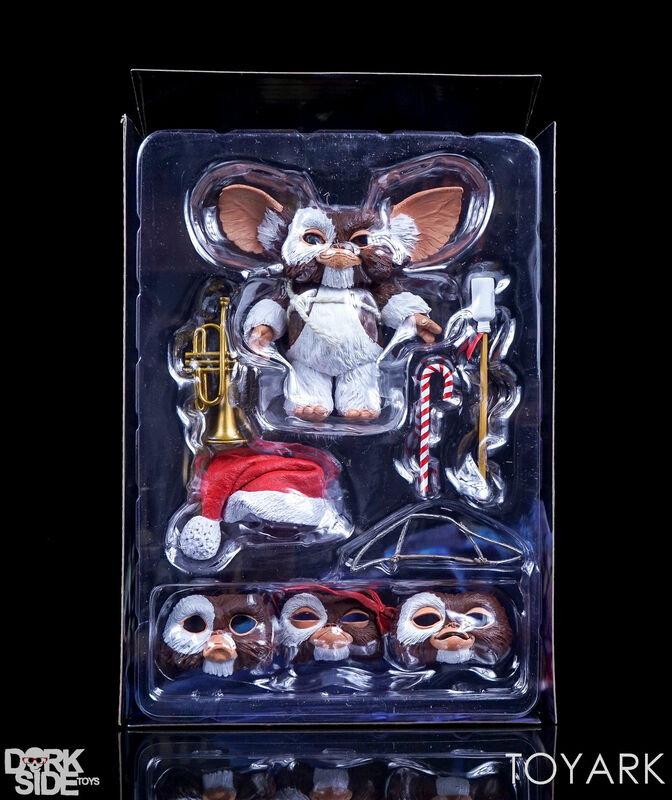 Included are four swappable faces, a removable Santa hat, a candy cane, a trumpet, a rope belt, a pencil arrow and a bow. 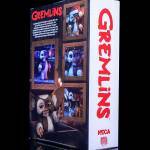 A cardboard diorama backdrop of Billy’s room from the original film is also included. 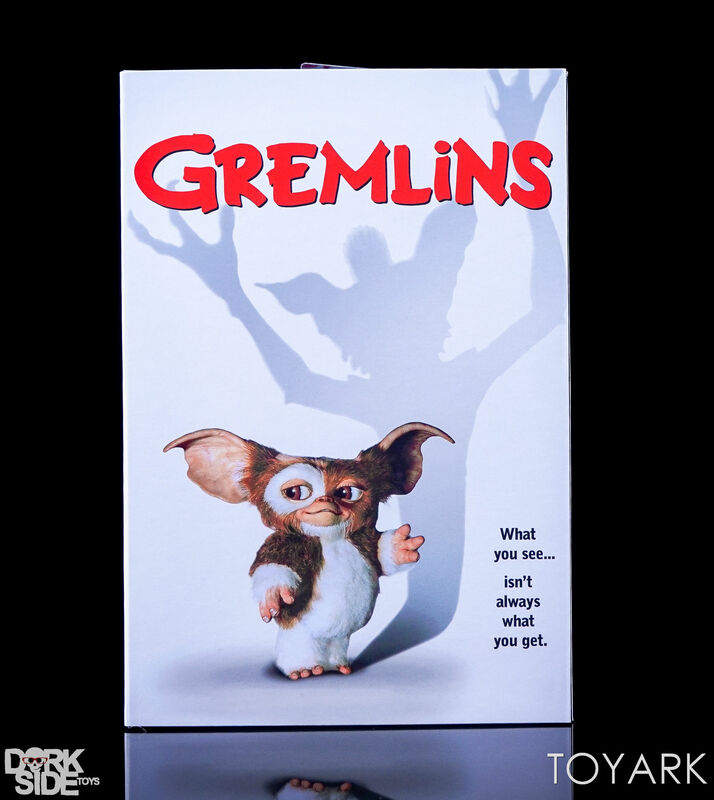 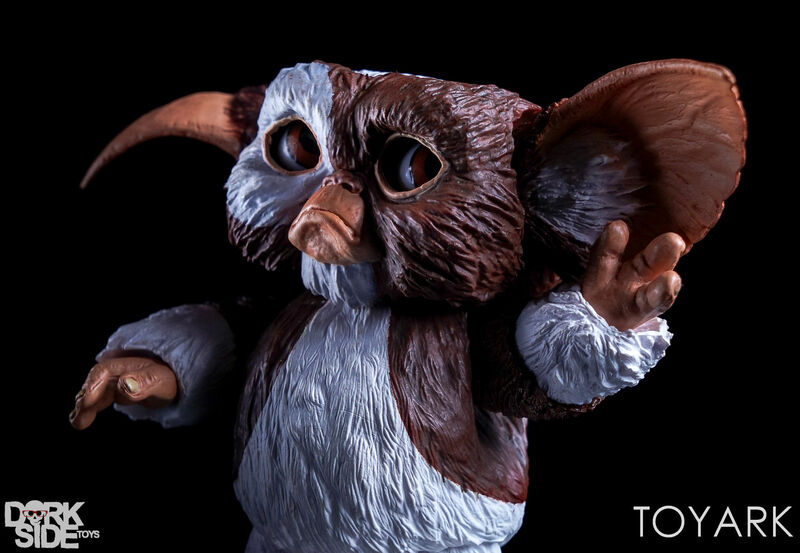 The Mogwai figures from NECA have always been impressive releases. 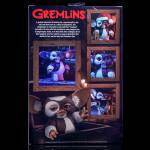 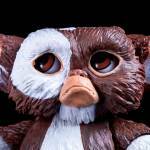 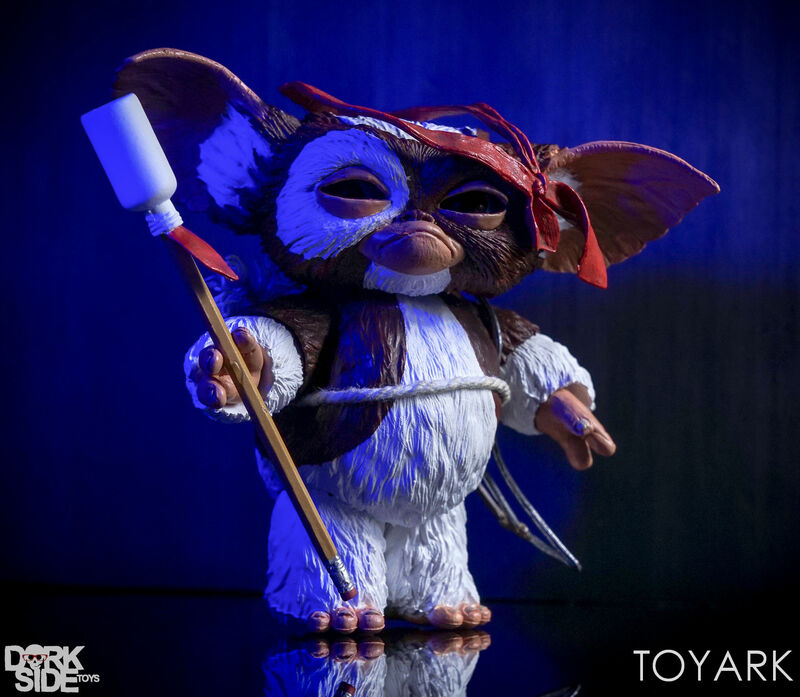 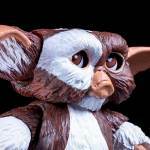 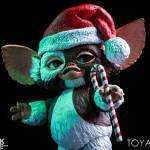 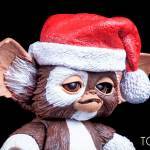 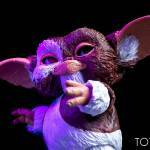 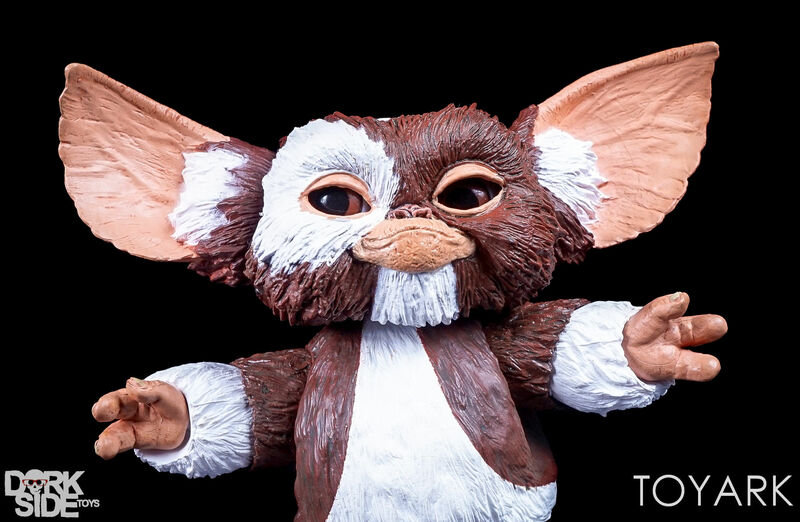 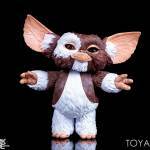 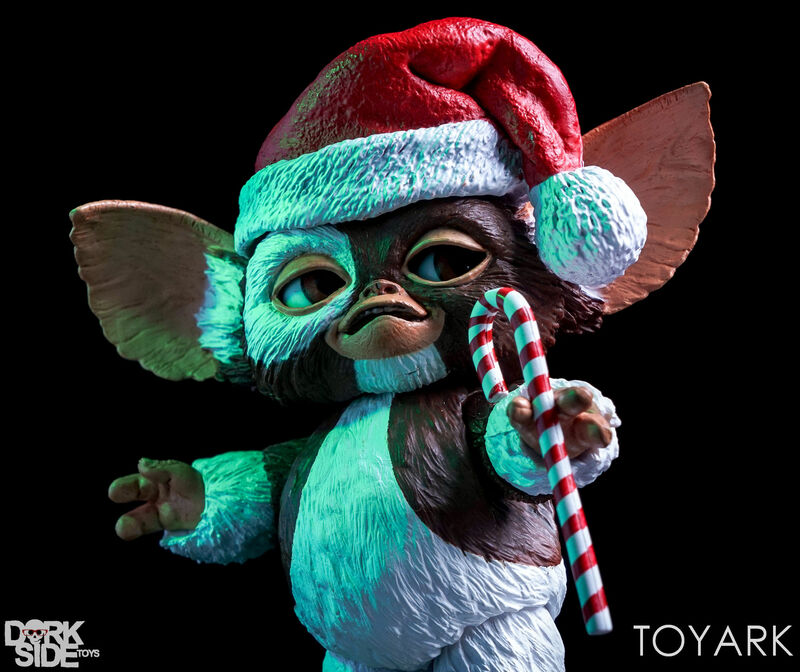 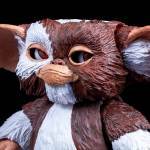 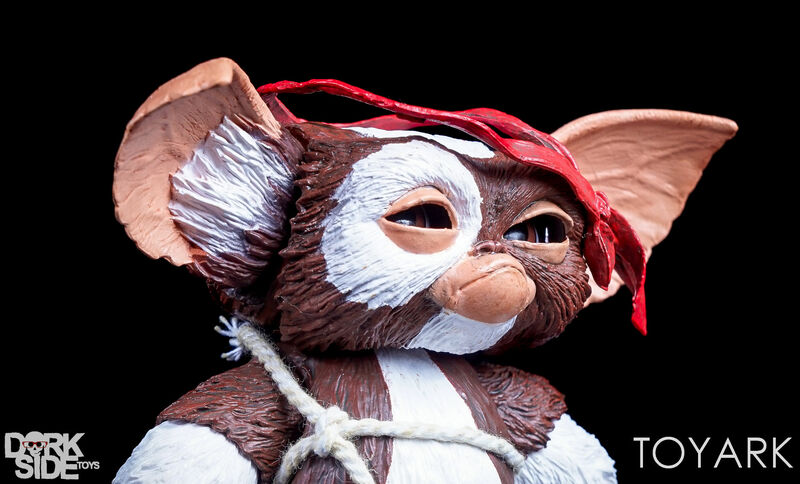 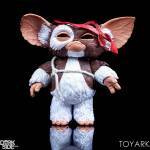 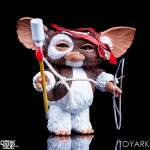 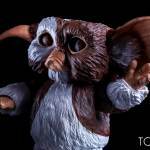 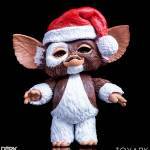 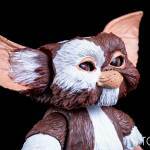 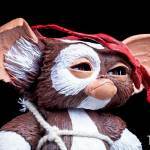 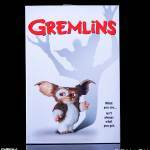 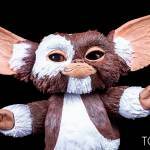 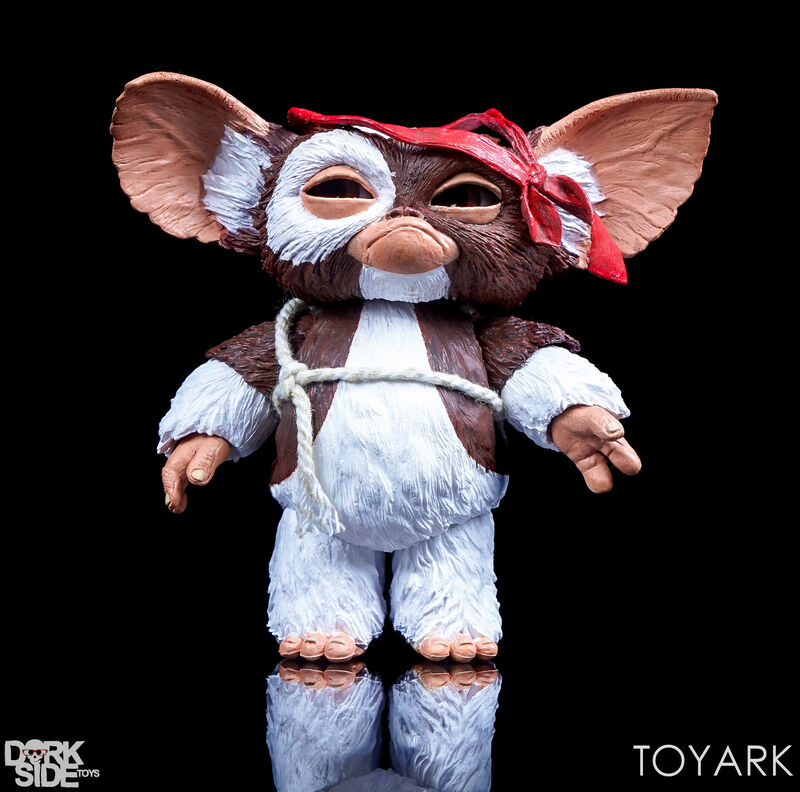 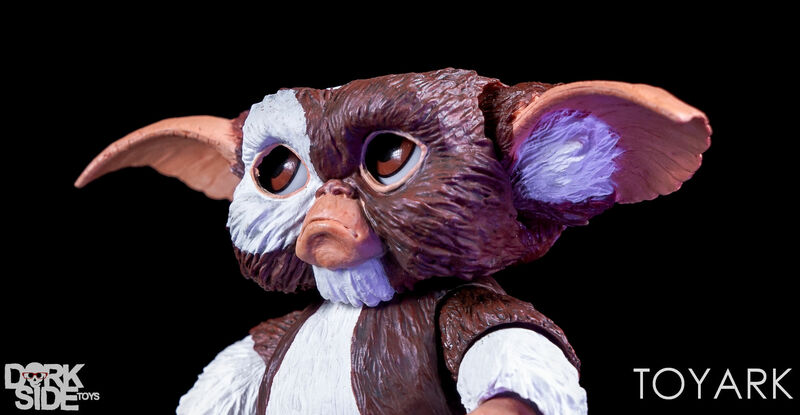 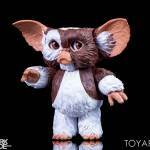 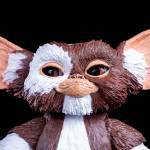 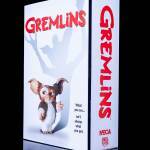 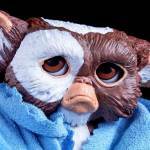 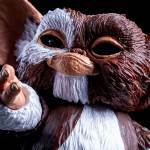 While fully articulated, the joints are slightly limited by the overall design of the Mogwai themselves. 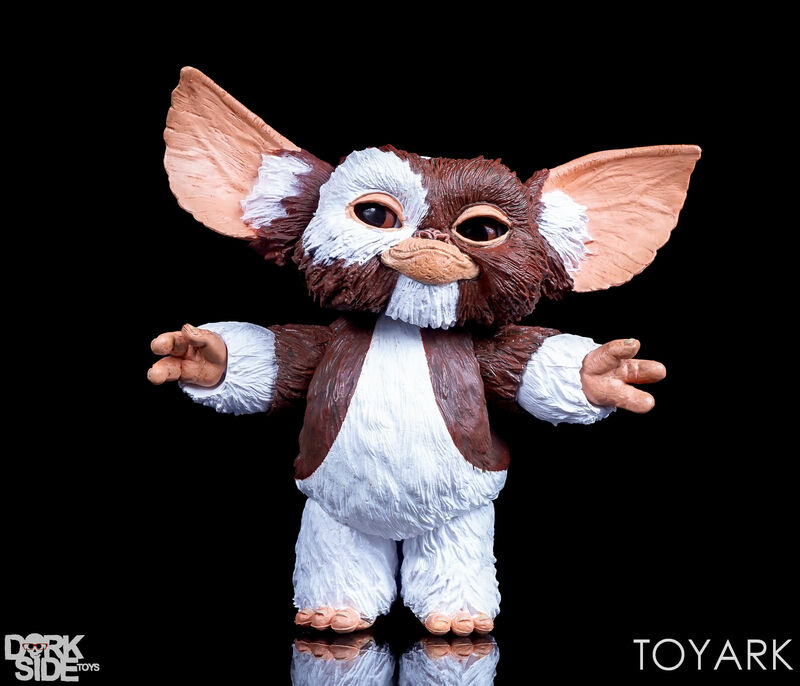 What always stood out, though, are the additional features these figures had. 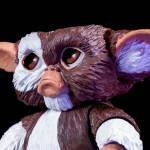 Like most of the Mogwai before, Gizmo includes fully moveable eyes and ears. 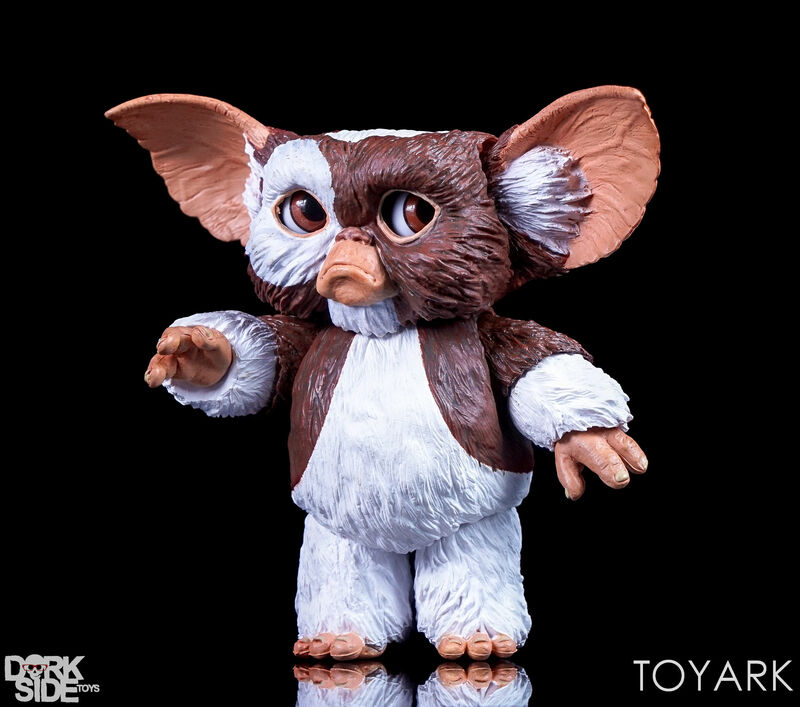 there’s about 10 additional points of articulation as well, including a ball jointed neck. 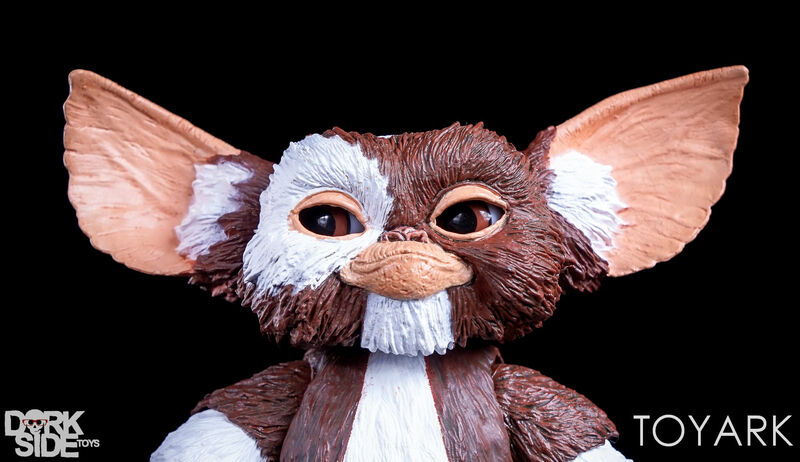 The sculpt is sharp, with great molded fur, and nice lifelike texture on the exposed skin areas, such as the mouth and hands. 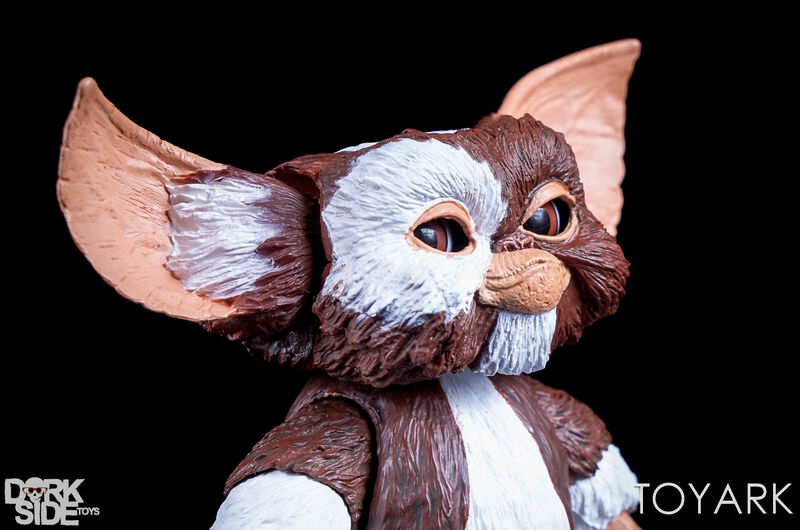 Painted details are clean, with sharp lines and no paint bleed. 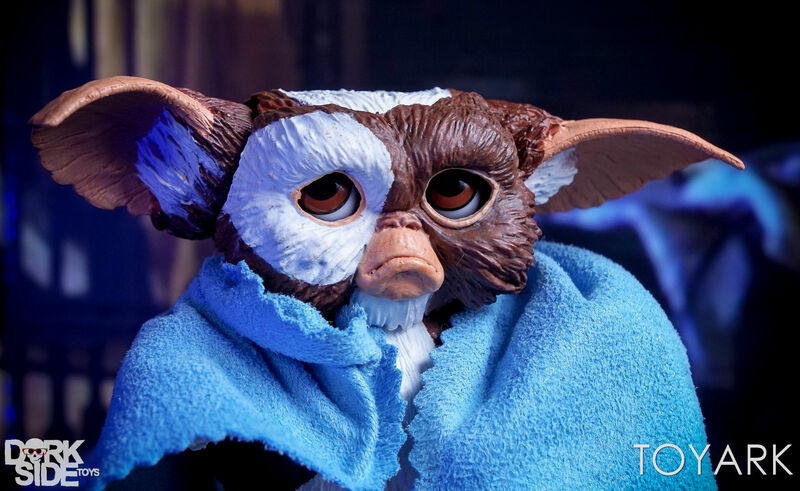 A slightly darker paint wash was used, which adds extra depth to the fur and skin. 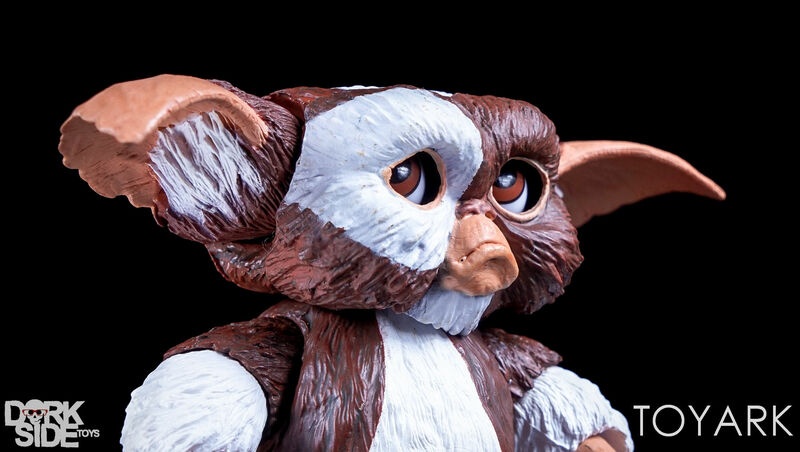 Joints are tight with no paint locking issues. 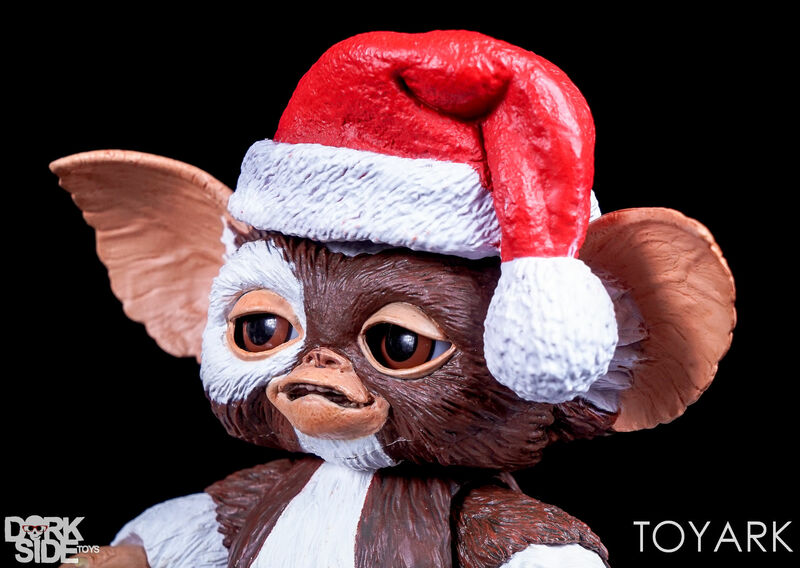 The face parts easily swap out to make changing expressions quick and painless. 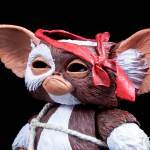 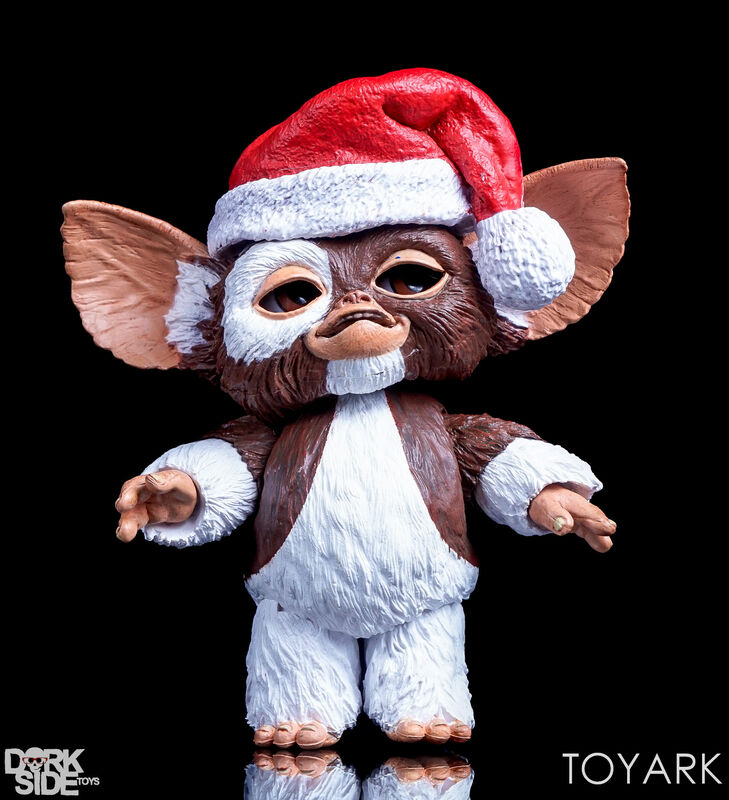 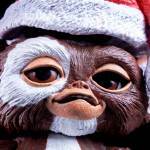 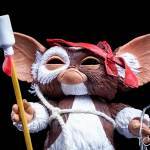 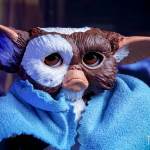 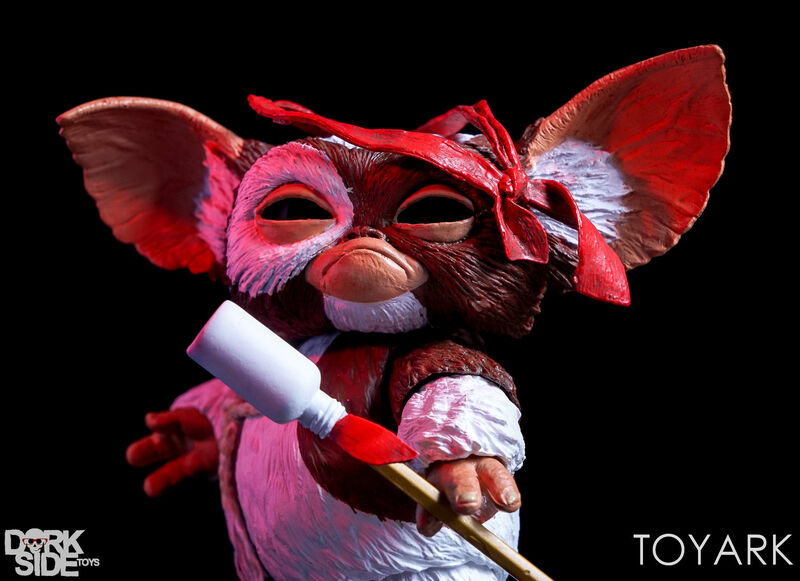 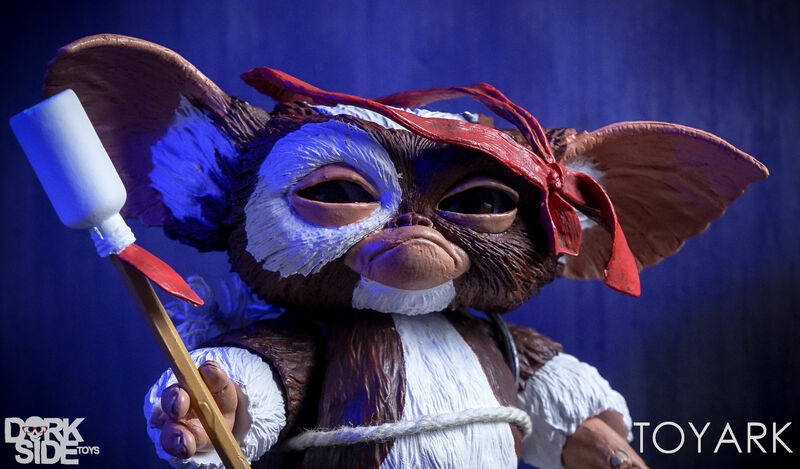 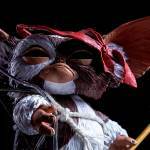 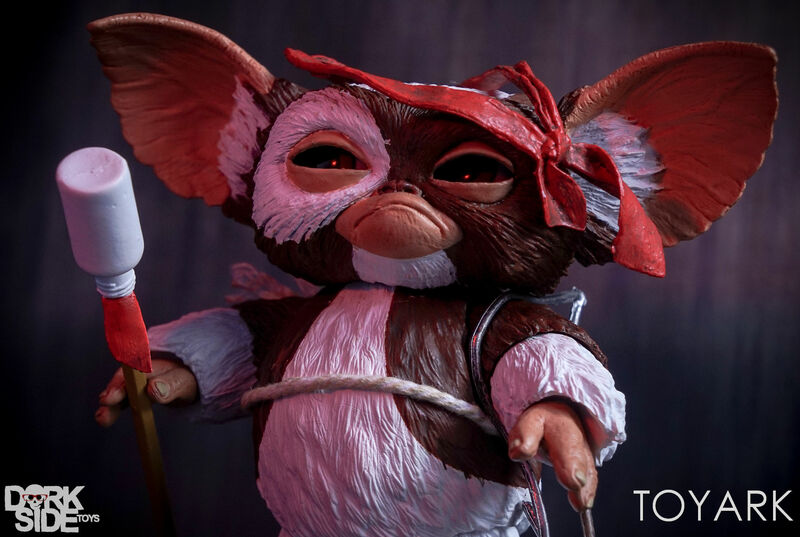 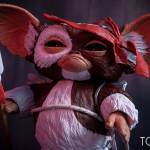 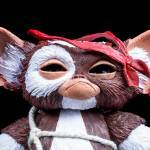 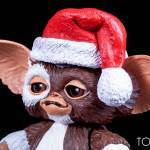 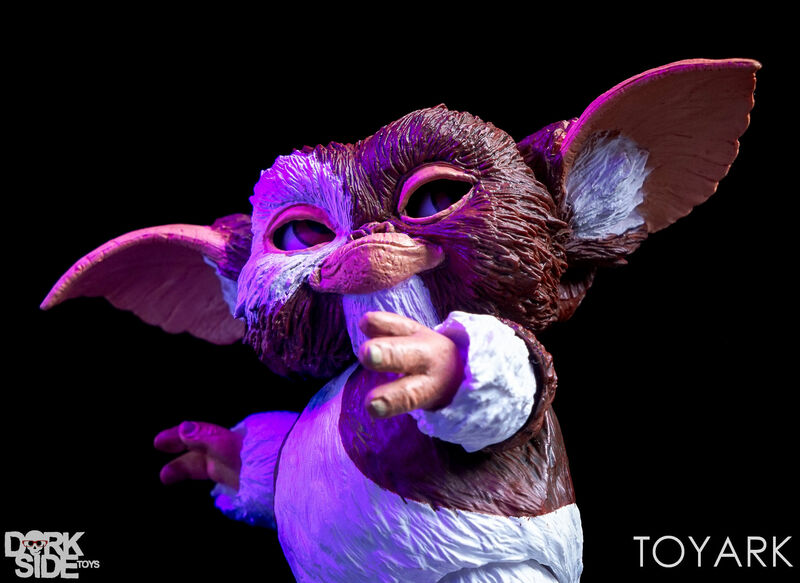 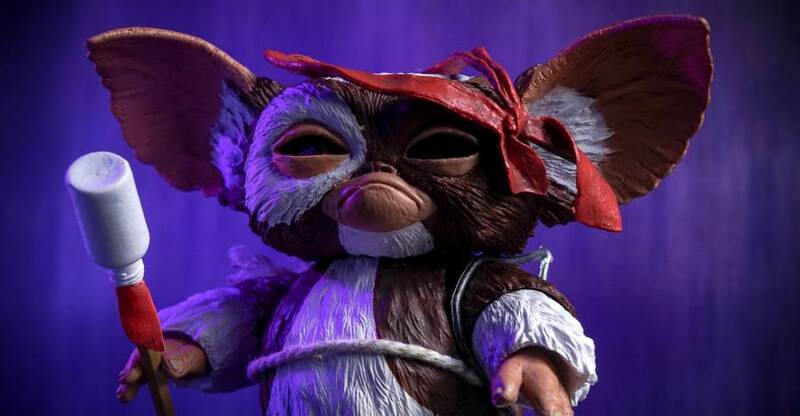 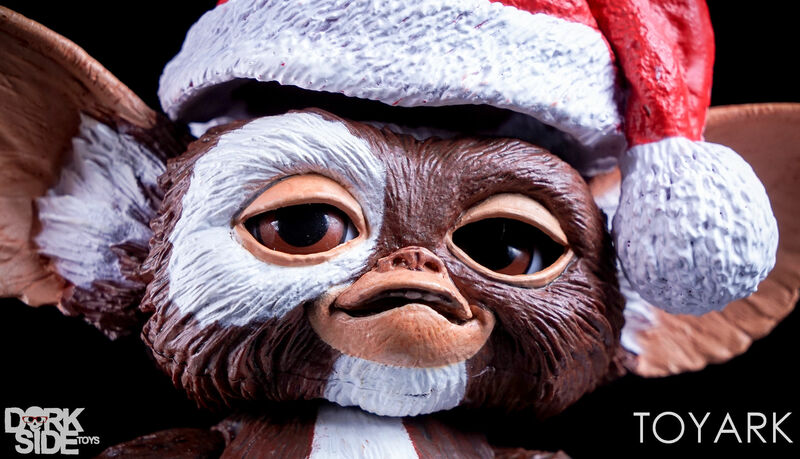 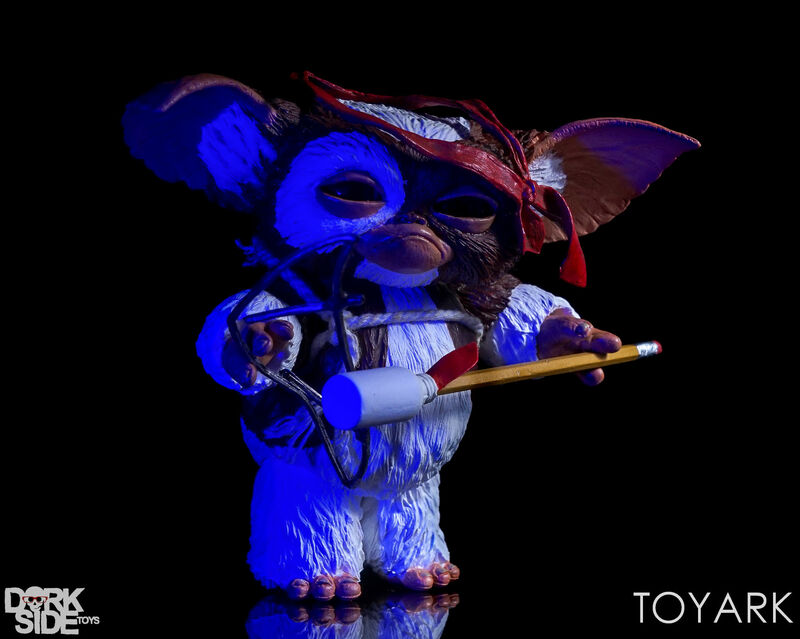 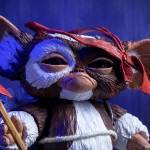 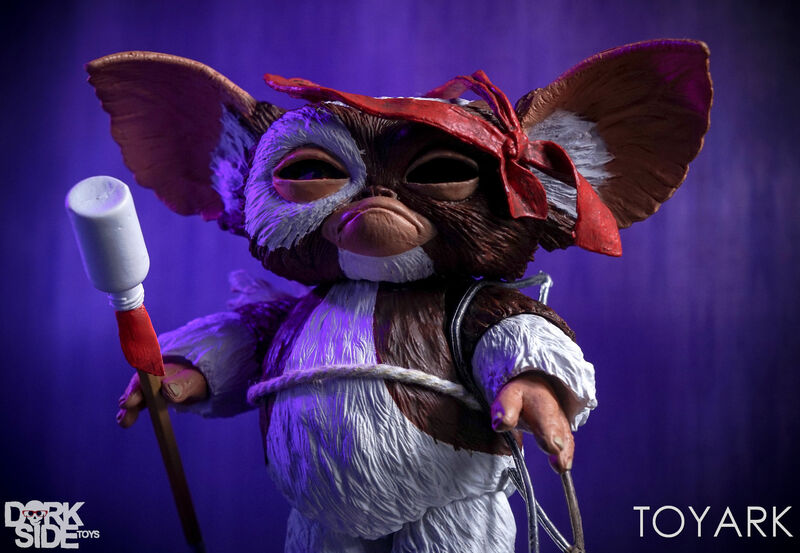 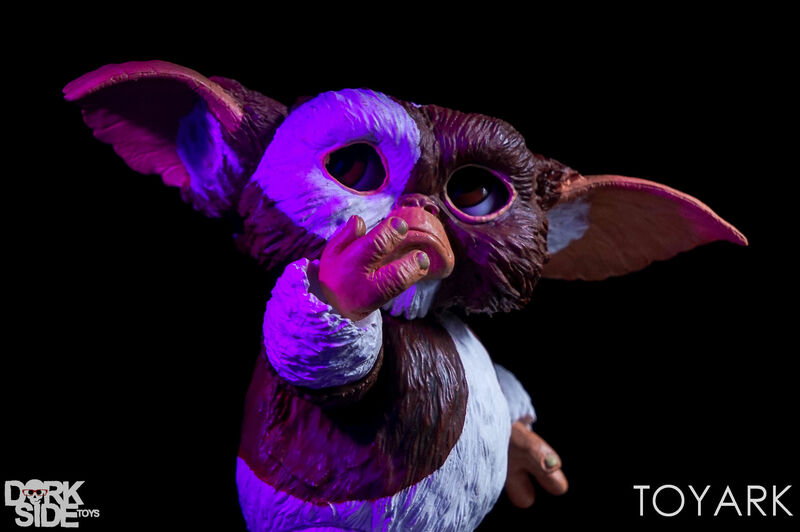 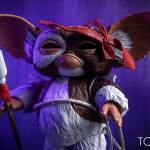 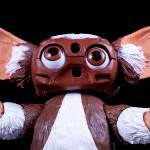 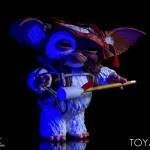 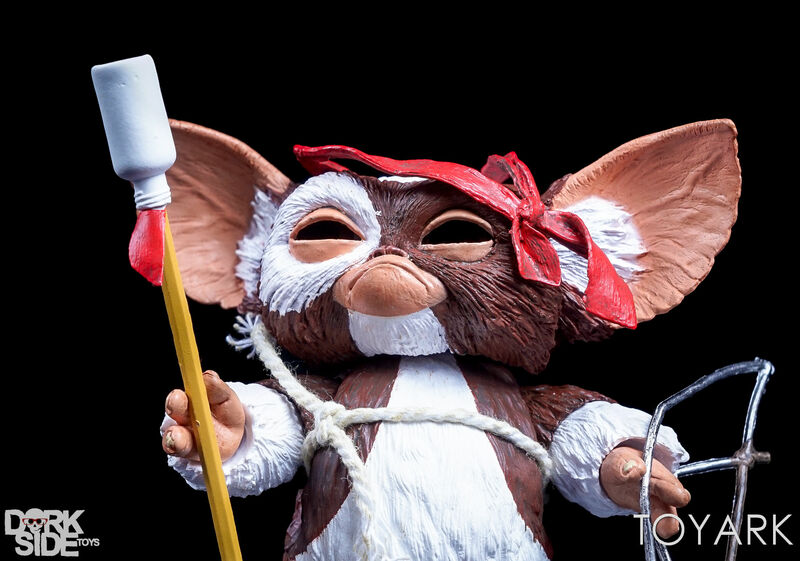 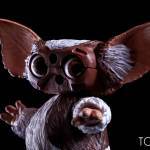 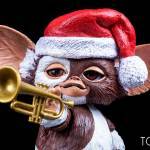 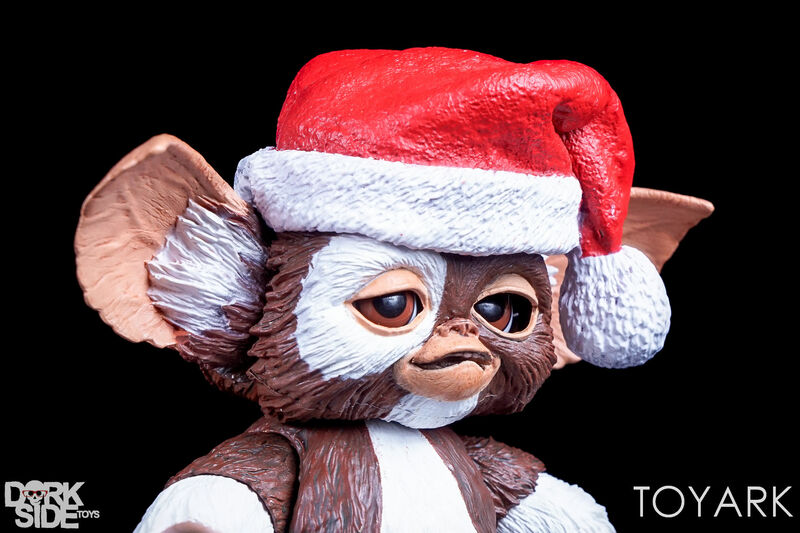 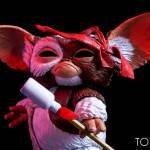 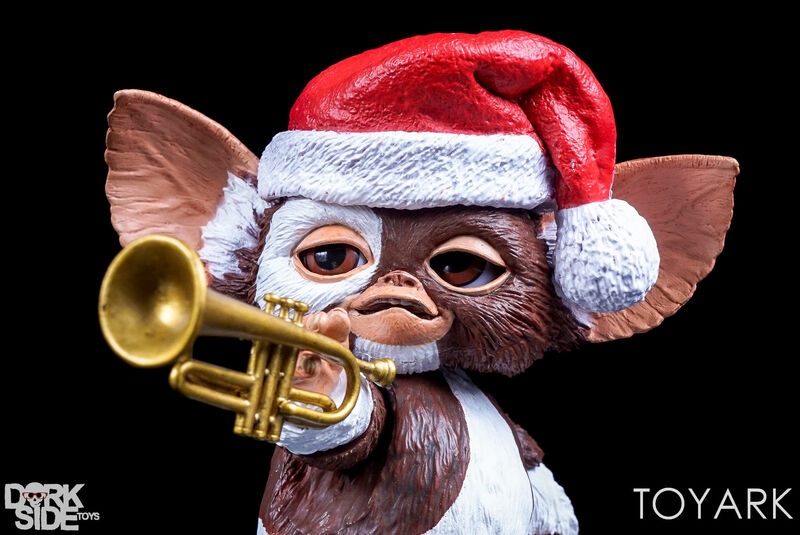 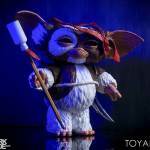 Gizmo includes plenty of cool accessories, each rooted in scenes from the films. 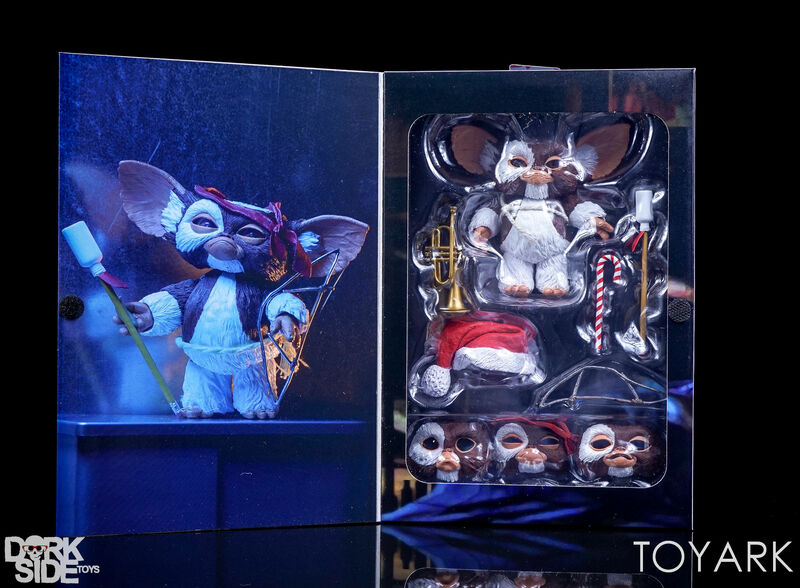 The inclusion of multiple expressions makes these items even more worthwhile, giving fans plenty of options on how they want to display the figure. 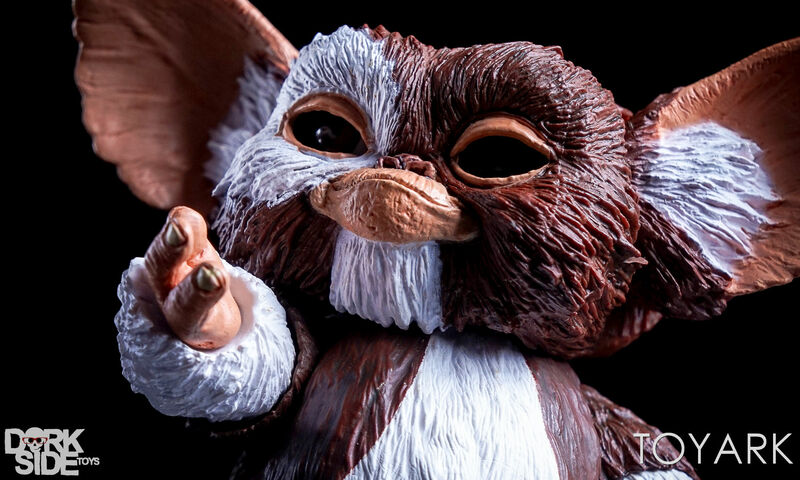 Sadly, NECA decided on using the relaxed Mogwai hands instead of the gripping hands (seen in the previous “Rambo” Gizmo). 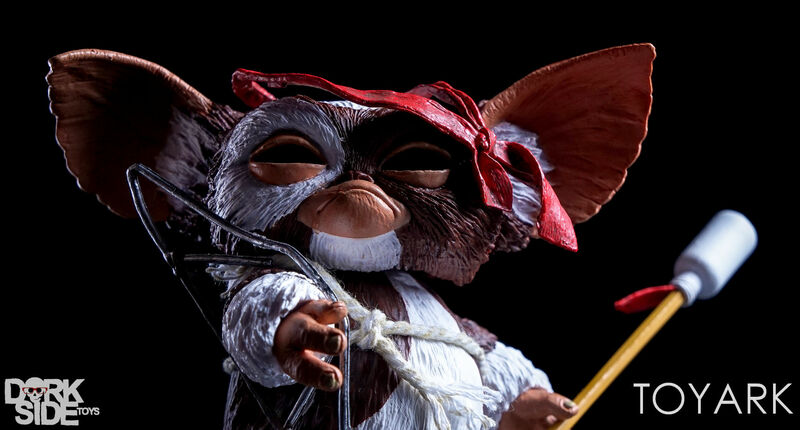 This makes it very difficult to get Gizmo to hold any of the accessories. 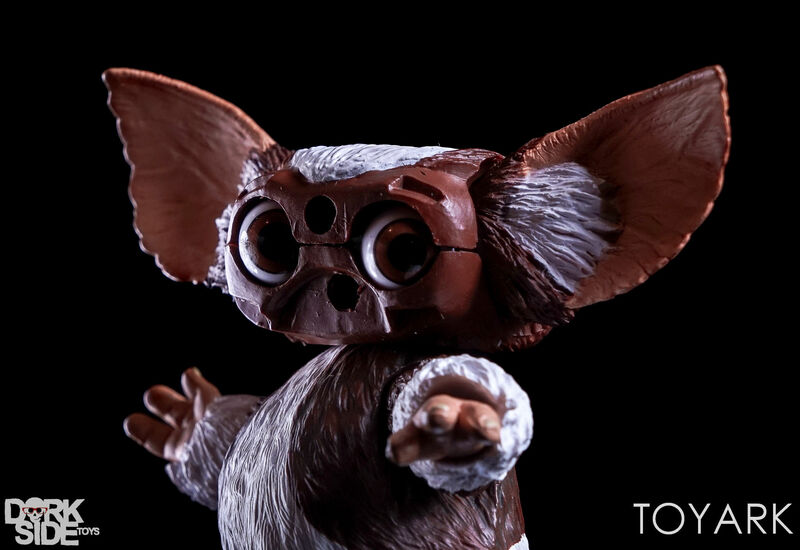 You will have to fight to find way to wedge items between the index finger and thumb. 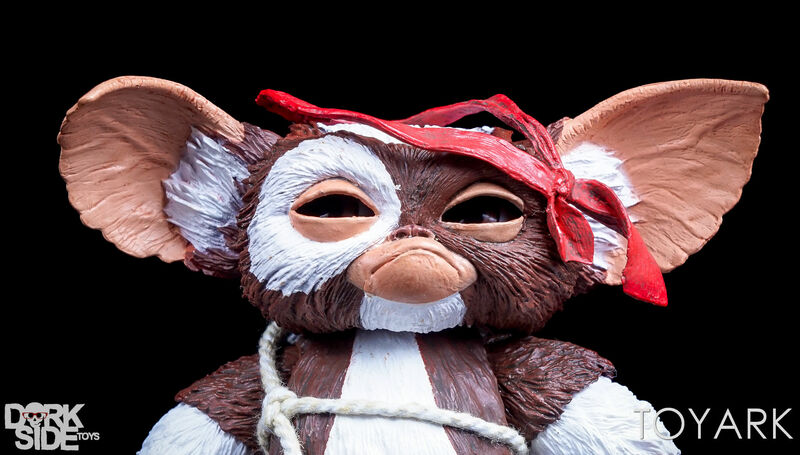 That’s really the only downside to what is a great release. 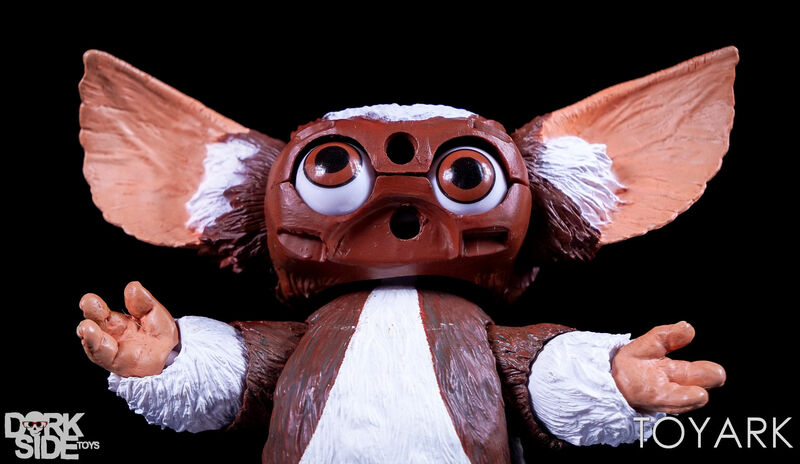 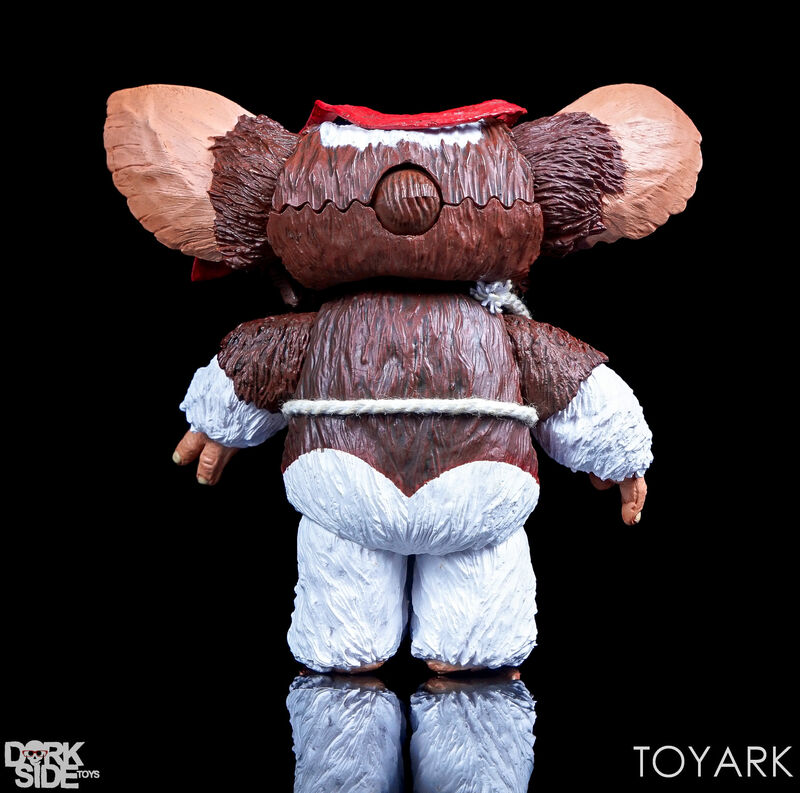 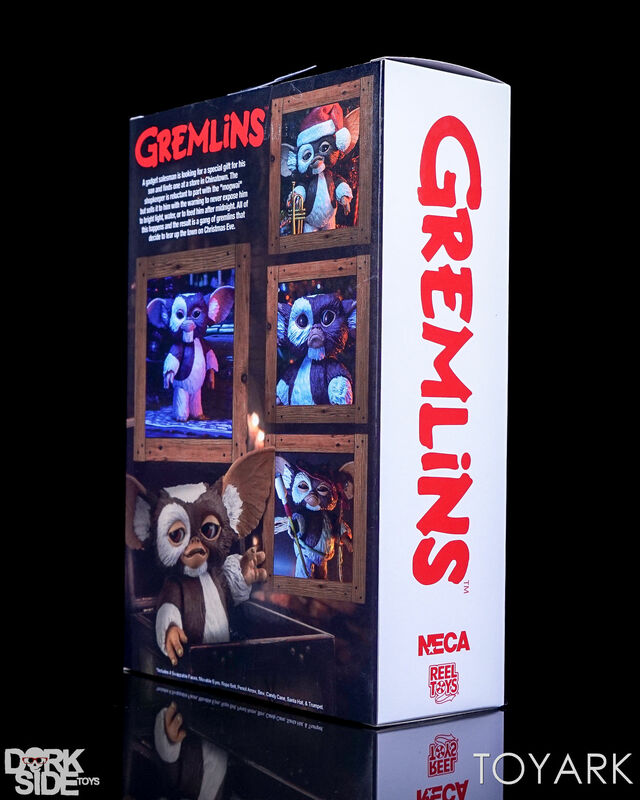 The Gizmo figure is definitely a worthwhile pickup, especially if you are missing many of the variations of Gizmo that were previously released. 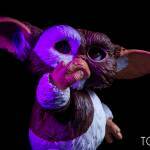 Check out some of my highlight photos below and the full gallery after that. 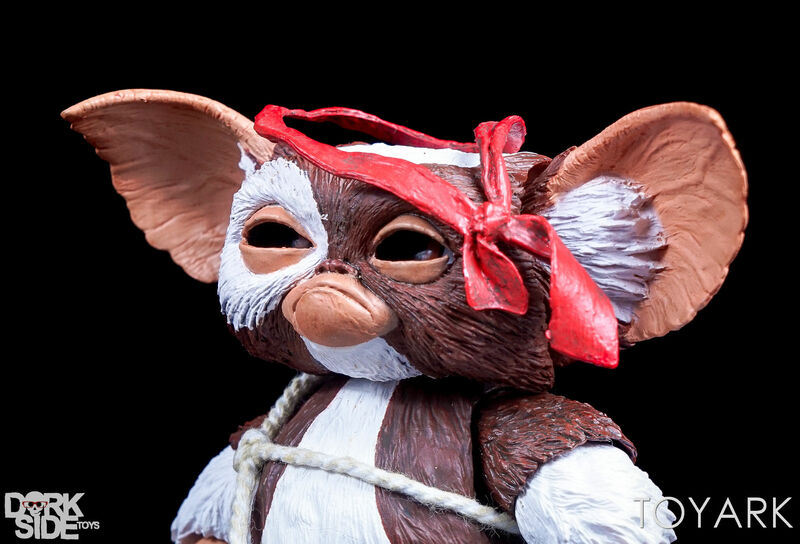 Damn, that headband looks bad. 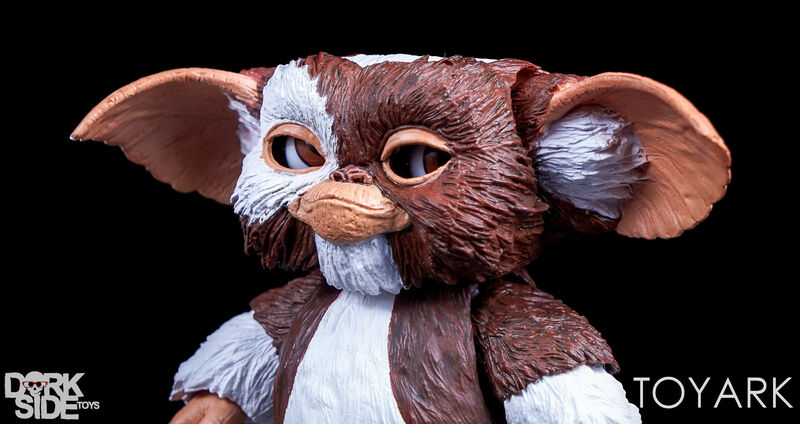 probably still bought like a mug, the eyes look so much better. 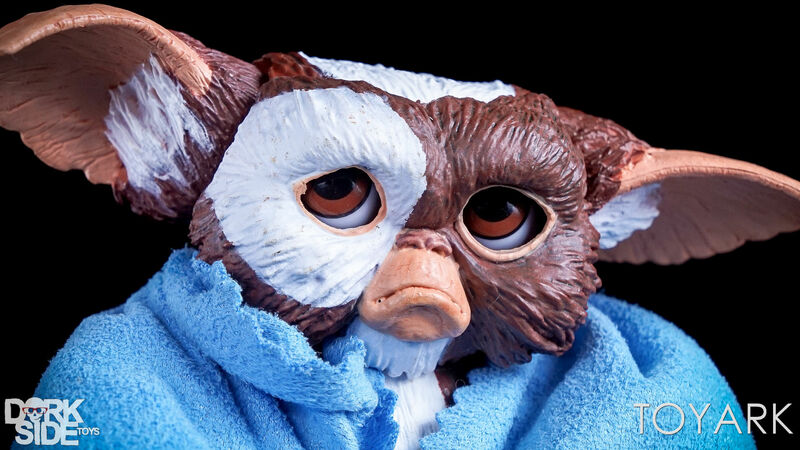 especially, "eyes without a face", billy idol.